Fashion can be such an investment. Once you find a great deal on an ideal outfit, you want to maintain the quality of the fabric to enjoy it for many occasions to come. If your new favorite article of clothing is white with a red trim, you run the risk of the red bleeding into the white fabric. You didn’t purchase a pink outfit though. You chose a white one and want to keep it that way. Unfortunately, you will need to avoid tossing it in with your other loads, but with a little extra attention, you can keep the red trim just where you left it. Moisten an inconspicuous spot of the red trim. After a couple minutes, press the white rag onto the red trim. If it bleeds onto the rag, you know you will need to take extra precaution and follow the rest of the steps. Fill the washing machine with a small load of cold water. You will need to wash the garment alone to avoid bleeding onto other garments. Use a sufficient amount of cold water laundry detergent. Cold water often requires more detergent than warm water. A detergent designed for cold water will help you regulate how much you need. 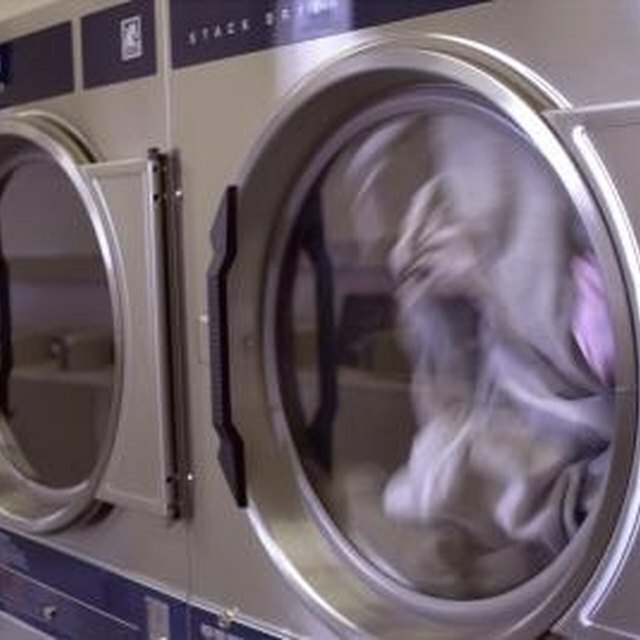 Furthermore, enough detergent will ensure that dirt and color particles suspended in the water will have detergent particles on which to adhere and with which to wash away, rather than reattaching to the fabric. Place the garment in the washing machine with a dye catching cloth, which can be purchased at many drug and retail stores. Run the load. Remove the garment immediately after the load finishes. Do not allow the garment to sit, folded upon itself, as this might cause bleeding. Check for dye stains. If you see pink or red stains on the white portion, immediately run through the washing machine again, with detergent and another dye catching cloth. Because the stain was recently placed into the white fabric, it likely has not set in yet and could be removed with a second wash.
Dab the stain with bleach or stain remover, avoiding the red trim. Fill a bowl or basin with warm to hot water and some laundry detergent, if the stain persists. Soak and scrub the stain, avoiding the trim, in the warm water. Rinse the stain under cold running water. Place the garment on the towel to allow to dry. Do not let the red trim touch the white portion.